Le$ delivers a quick "Expansion Pack" EP. 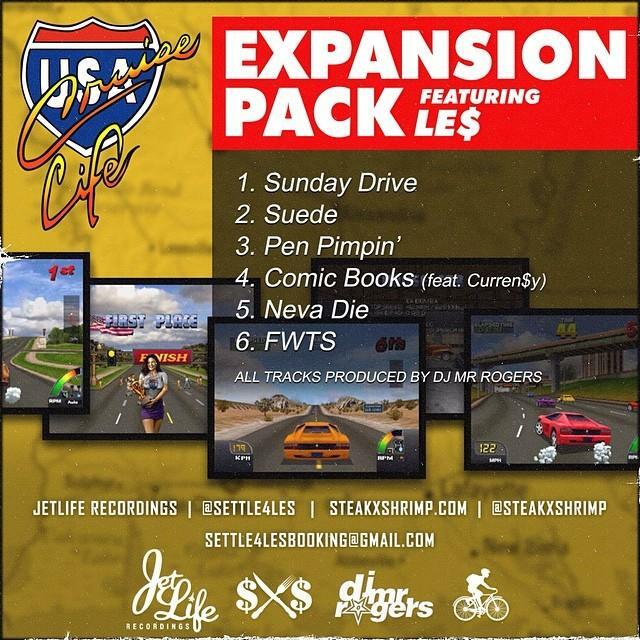 Last time we received a mixtape from Le$ was with his project Gran Turismo in December 2013. His first project in the New Year is an free extended play which keeps up with the car-themed artwork Le$ has been doing for his past three mixtapes (see: E36 as well). The 6-track project only has one feature, coming from recent collaborator Curren$y. 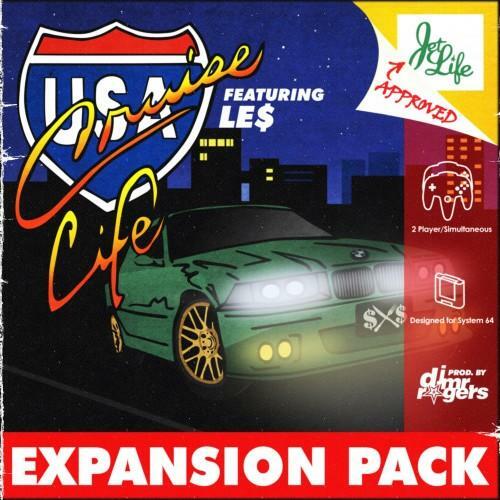 You may remember Spitta enlisted Le$ on his The Drive In Theatre mixtape for "$ Migraine" (watch the music video here), so it look as though Spitta returned the favor on Expansion Pack EP. Listen and/or download, and tell us what you think of the EP.